There are various excuses to not learn Hungarian right now, since this thing called life is happening constantly to all of us and finding the “right” time and mindset is a task which often proves to be challenging to impossible. And the world is such a distracting place anyways. Luckily, there are some awesome hacks for us procrastinators to avoid this state of tomorrow-is-another-day. 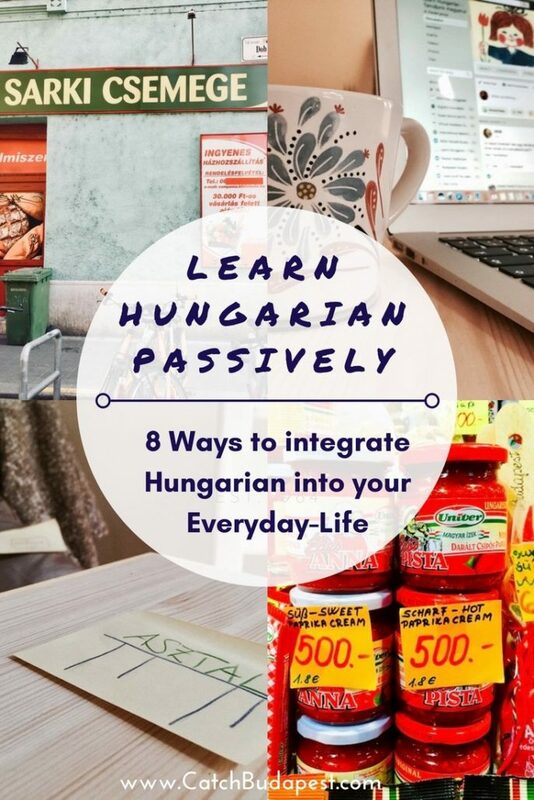 So here is a list of our 8 ways to integrate learning Hungarian into your everyday life without really doing anything you wouldn’t otherwise do anyways. 1. 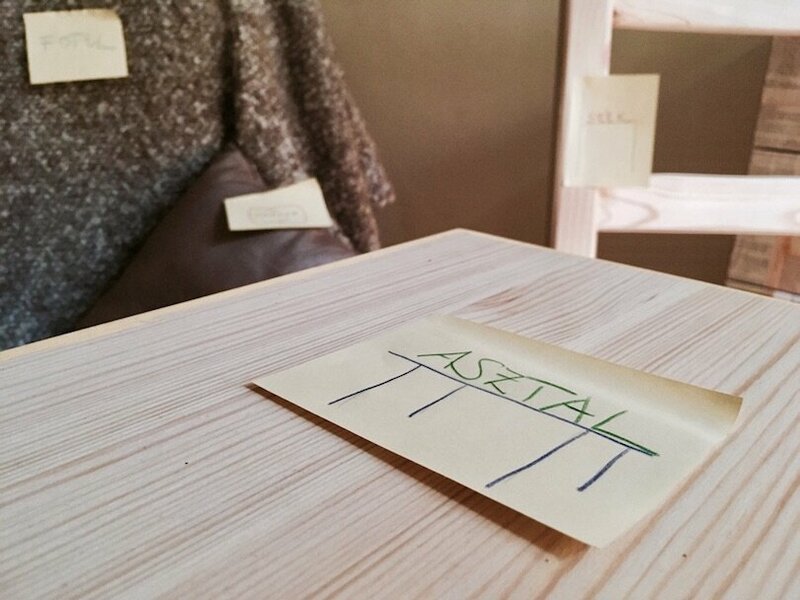 Label everything, literally everything in your home with post-its in Hungarian. Seriously, start in the hallway and write “akasztó” on your clothhangers and “cipősszekrény” on your shoe bin. Label your doors, windows and closets. Even your cosmetics. Enhance the labels with further information, e.g. write “nyitni” and “csukni” (open and close) next to your door or “fel” and “le” next to your light switch. Be creative here. No need to study all the words; seeing them every day will naturally make them stick in your long-term memory. To speed up this process, repeat the words you’re reading aloud whenever you’re using them. Change the language of all your devices and apps you use daily to Hungarian. Think of your smartphone, but also think further. Do you own and use a GPS? Change the language of facebook, instagram and all those social networks. Don’t think it’s only about technical stuff and expressions that you wouldn’t ever use otherwise. It’s quite the opposite. You’ll learn things such as send, open, change, the days of the week, the months, read and search which are not solely technical expressions at all. We all spend way too much time on our devices and this is all but a downward trend so let’s make them function as our ancillary vocabulary books. Most people (including us) spend at least an hour per day scrolling through facebook. It just happens while we’re waiting for the bus or while we’re failing to not procrastinate for once in our lives. Luckily, facebook is more than just the joy and misery of our far-away acquaintances. It’s actually a smart passive language learning tool if you use it correctly. There are literally hundreds of facebook groups and pages in Hungarian, run by Hungarians. A lot of them are actually groups for people wanting to learn Hungarian and various content is posted there everyday. Join all of these and let them appear in your feed. but think further, as well: Join all those groups and like all those pages that could be useful or interesting to you in any way. Think buy- and sell, flatshare, but also urban legends or sports – whatever is of interest to you and whatever you would like to read in your mother tongue anyways. Try to make a meaning of everything that grabs your interest in the course of your daily facebook marathon. In the case of emergency just press the “translate” button. Remember to tell facebook not to translate Hungarian posts by default, though. You can do this in your settings. 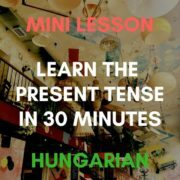 The advantage of learning Hungarian on facebook? The phrases and expressions you’ll read there resemble the actual, spoken language a lot more than a textbook or Duolingo ever could. Thus, it mixes language learning with cultural aspects and urban slang. Perfect for becoming street-smart. Commuting for work or roaming Budapest for pleasure are both excellent ways to practice your reading and pronunciation skills. If you look around, there’s text everywhere. Advertisements, street signs, the names of bars and restaurants – the Hungarian alphabet is literally everywhere. Practice it by really reading what you’re seeing. Try to pronounce the words correctly, either in your head or aloud. This is the best way to familiarise a fairly unfamiliar alphabet, like the Hungarian one. Don’t understand the Hungarian alphabet yet? Click here for our quick guide and learn it in about an hour. If there is any kind of sport you like and watch regularly or even irregularly, stream it in Hungarian! While we admit that watching movies in a foreign language can be daunting, streaming sports is a lot more carefree, since the “plot” is just as crystal-clear without the commentator’s voice. So why not listen to him in Hungarian for a change to train your auditory skills? See, the cool thing about streaming sports in a foreign language is that you will hear (almost) exactly what you see, which is an excellent method for visualizing the things heard. We love Feedly. It’s an excellent feed reader which allows you to add and categorize your favourite blogs and homepages in order to have a quick overview on what’s new on each of them. It’s a constant companion of our morning teas and coffees and – as you might’ve guessed – a perfect language tool. Start adding blogs in Hungarian to your Feedly. There are a bunch of good ones related to various topics and interests, from travelling through lifestyle and fashion. Only add those blogs whose topics would grab your interest in your mother tongue, too. This way, you’ll get a bunch of interesting headlines in Hungarian every day. Try working your way through a whole article every once in awhile. Blogs are written in a way more true-to-life-manner than textbooks and will give you a much better feel on how Hungarian is used in a natural tone of writing. Click here for our favourite blogs in Hungarian, sorted by topic. Try working your way through a Hungarian recipe for a change – there are literally thousands of good recipes available online in Hungarian, not restricted to the hefty Hungarian cuisine. Living right next to the big market hall, we’re avid cookers of all kinds of dishes and found this to be a fun way soaking up some tasty vocab. Browse through the page of the Hungarian god-housewife Judit Stahl or try nosalty.hu, where the tens of thousands of dishes are already sorted per category. Mindmegette.hu works in a similar way, and there is also the blog of Lénárt Gitta, which focuses on raw food and nutritional advice, so you definitely won’t have a lack of choice. If you’re looking for even more inspiration, click here for our favourite food-related blogs and Insta-accounts in Hungarian. Say “köszi” instead of thank you or “szia” instead of hi in every conversation, even if you’re not talking to a Hungarian person. This may seem weird at first, but bilinguals and polyglots constantly mix their languages anyways. Who doesn’t use anglicisms frequently (in case English is not their mother tongue) or hasn’t ever said “ciao” instead of “bye”. It’s nothing unusual but will help you to memorise new words long-term and will make you use those words in a natural manner. You’ll learn the vocabulary about topics that are of interest to you, i.e. that you like to talk about. So why stick to the words that textbooks dictate you. Try those methods that appeal to you most and grow your word pool in a more interesting and natural way. We would love some feedback! Did you try any of these methods? How did they work out for you? Do you have some more tricks and suggestions for us? Definitely let us know in the comments! thanks for your comment and pointing that out, we just fixed the missing link above. I have a teenage son who is now interested in learning Hungarian, and I have taught him the alphabet, so I am definitely going to try the post it note suggestion! And it will help me brush up on rusty skills while I am at it! I’m enjoying your site a great deal – thank you for the effort you have gone to providing this resource! Great Vicky, thank you so much! :) hope the tips will help you and your son!! I’m going to start label things! I really want to label everything, but I am learning Hungarian in secret, to surprise my other half next time we land in Budapest! It’s quite a challenge to keep under wraps! Hope it’ll be a great surprise! Keep it up and let us know! We wish you a lot of success with your secret project!